16th November 2015. Salisbury Plain, South Georgia. (Map of journey . . . . . . . . (14. Salisbury Plain)). We had had an unusual run of perfect weather but this was compromised somewhat this day. 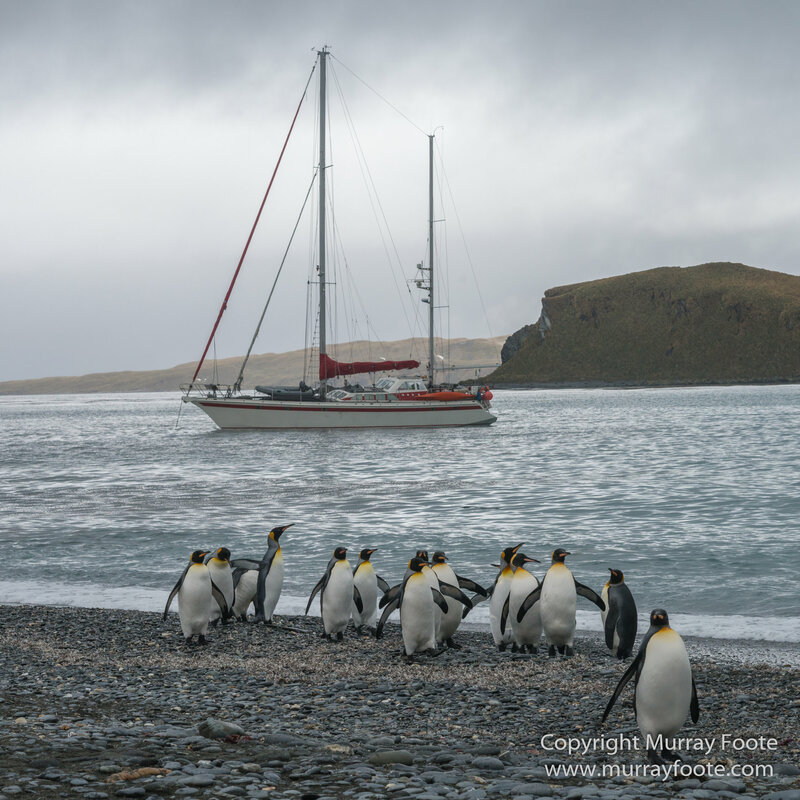 It was raining and grey in the early morning so we slept in and ventured ashore after breakfast. 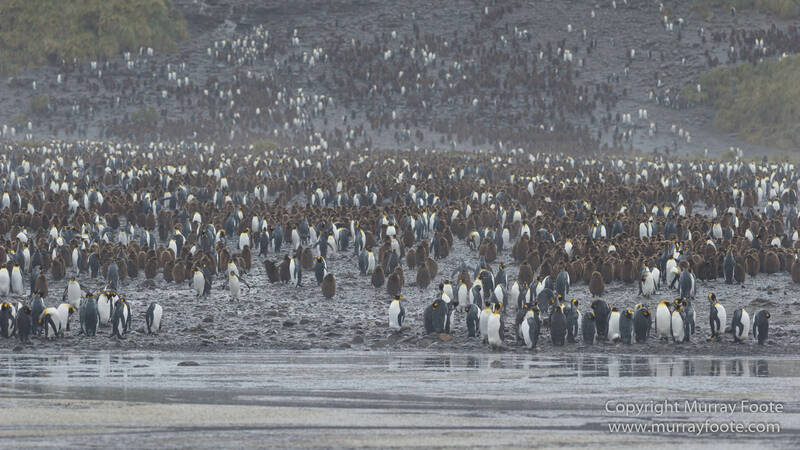 Here is a glimpse of the multitudes on shore. Incredibly, there was a yacht here too. They must have been very experienced (hopefully not foolhardy) to venture to a zone where the weather can be so wild. 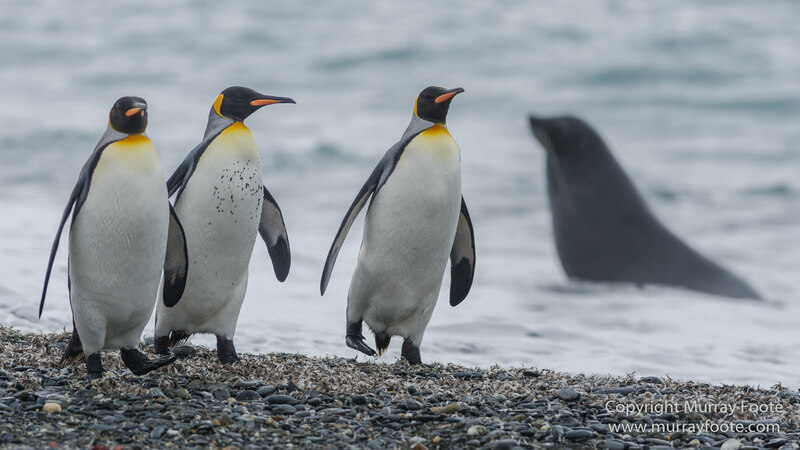 King penguins and a fur seal. 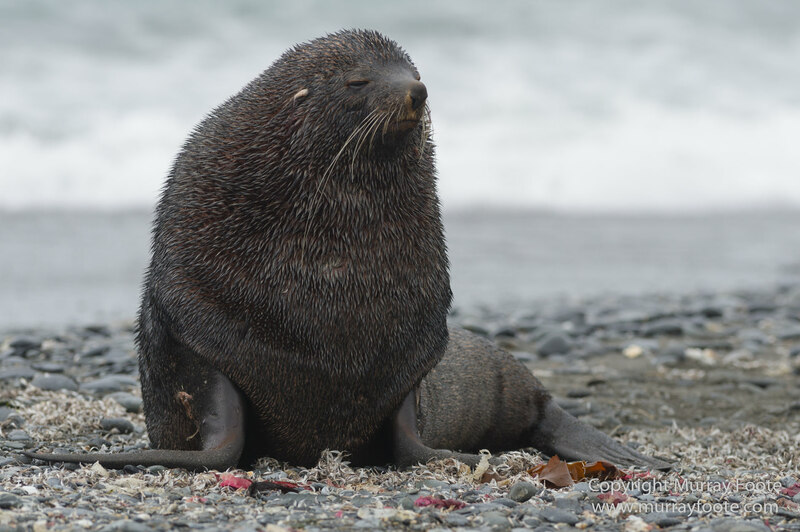 Male fur seal. Don’t venture too close. Though actually, if you keep very low they’re less likely to take offence. 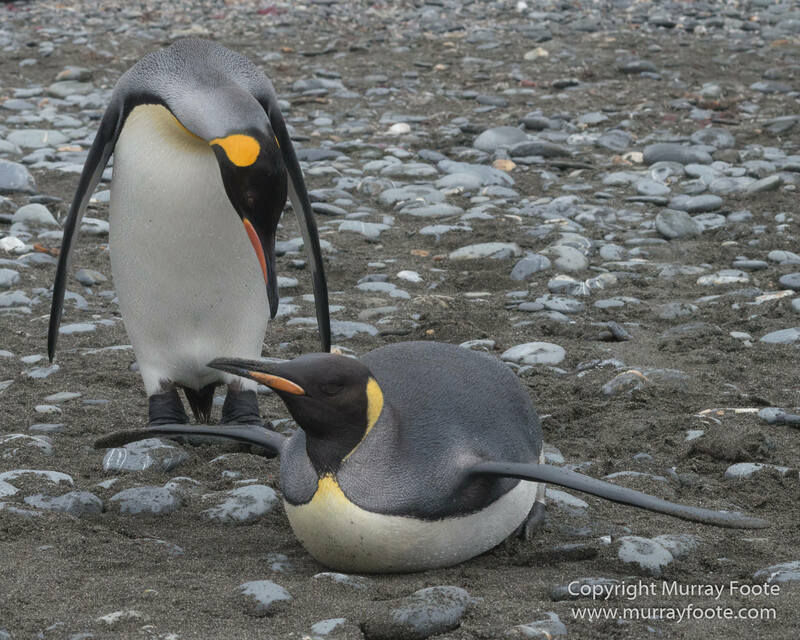 Perhaps the penguins are from the yacht and have just landed. 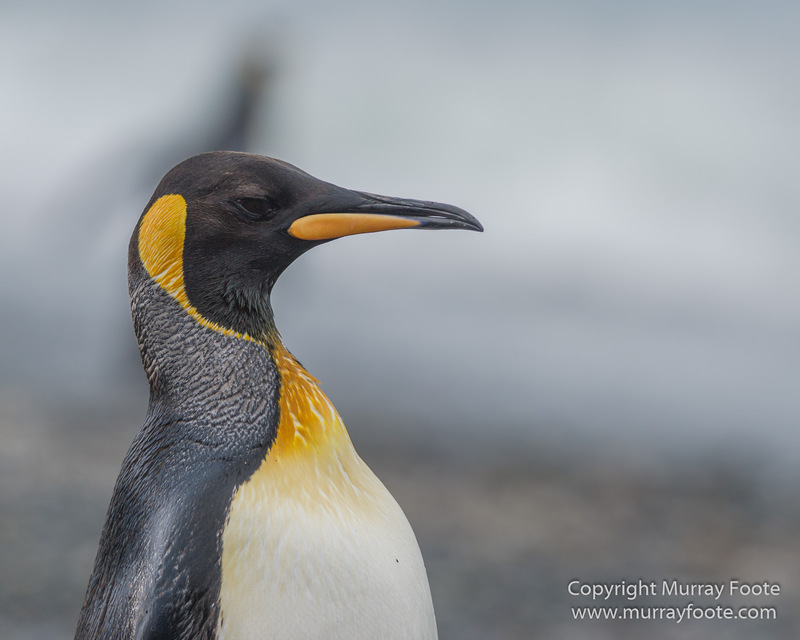 Most of the king penguins are firmly on land while one gazes out in the distance to the ocean. Looking for signs of fish? Orcas? 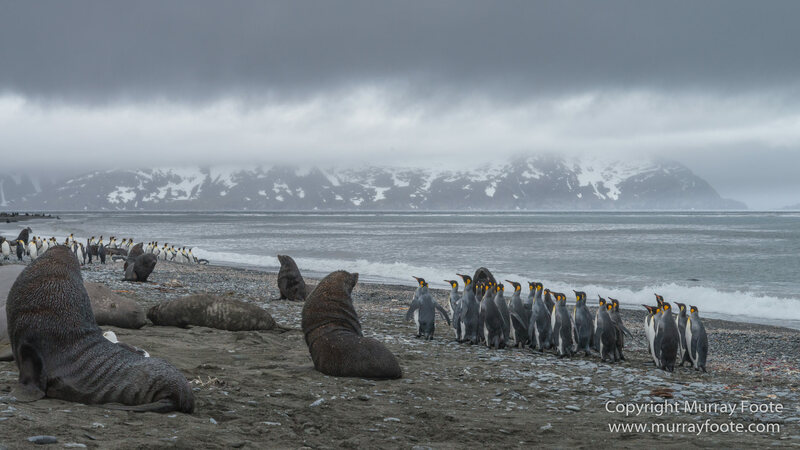 Leopard seals? Nuclear submarines? The Polar Pioneer in the distance now, rather than the yacht. You can fly, you say? 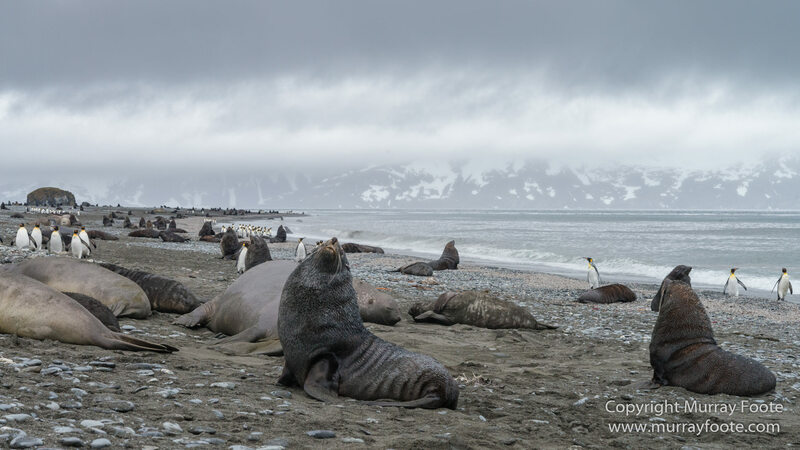 A view of the shoreline with fur seals and king penguins and somewhat dubious weather. 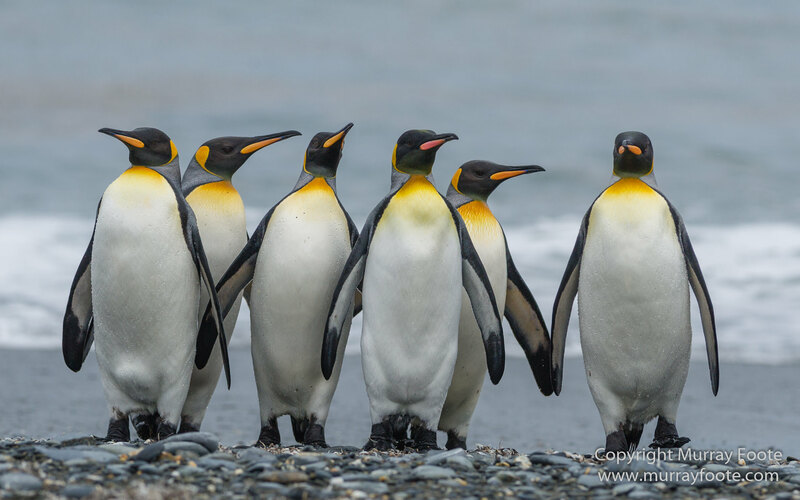 A line of king penguins is a little cautious, preparing to walk through the fur seals. 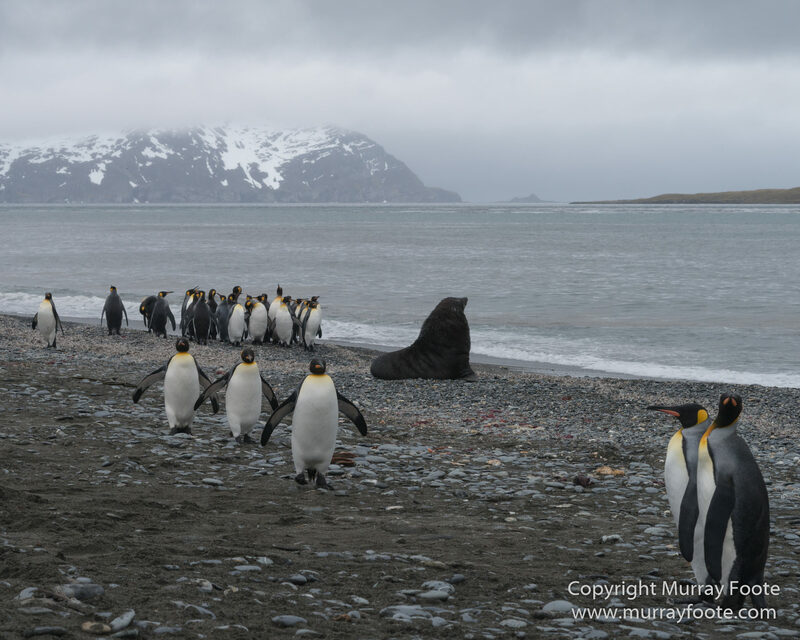 Penguins surfing in and walking past a fur seal on the beach. 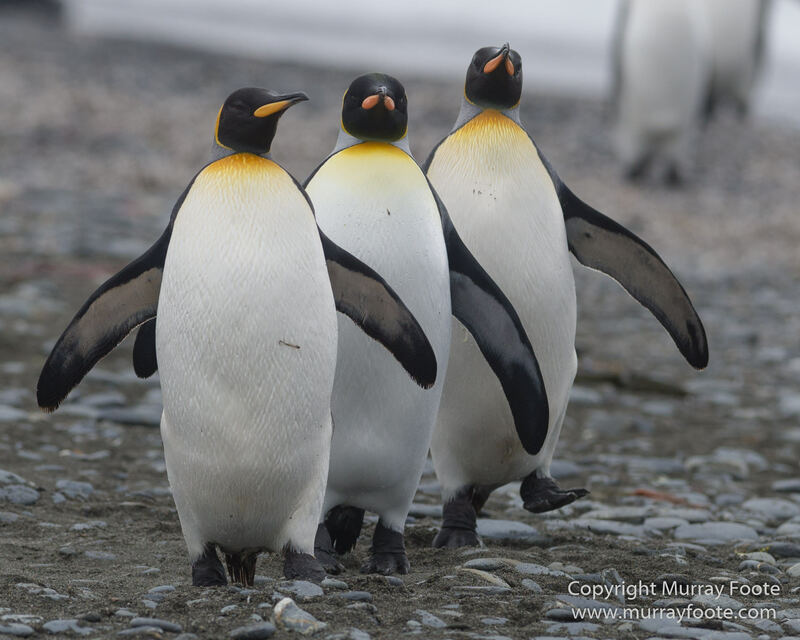 (Anthropomorphic warning): All dressed up and nowhere to go? 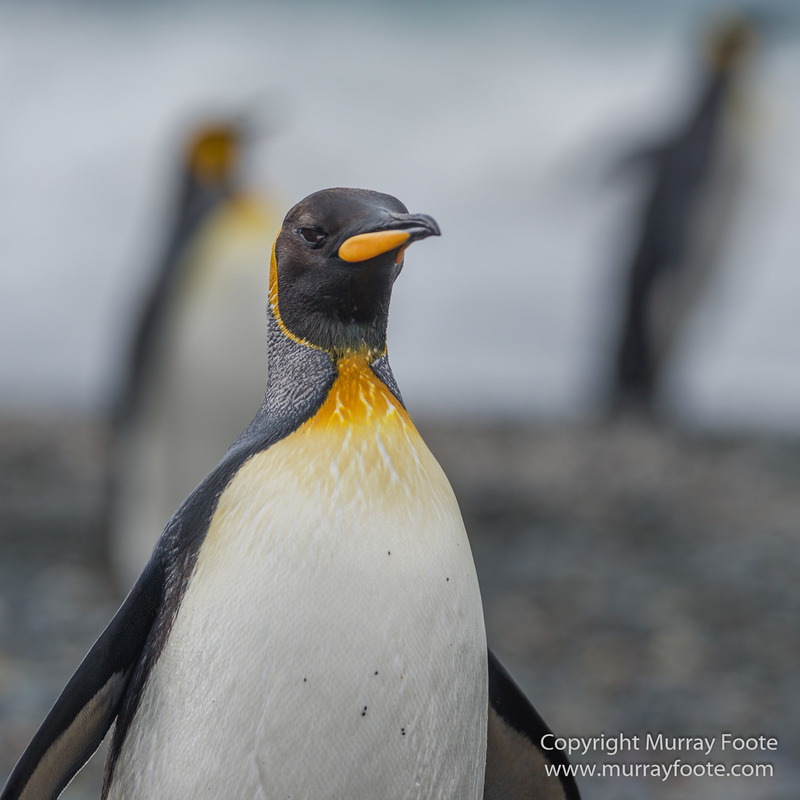 Almost got this right but unfortunately, the front penguins are in focus but not the central one at the back. 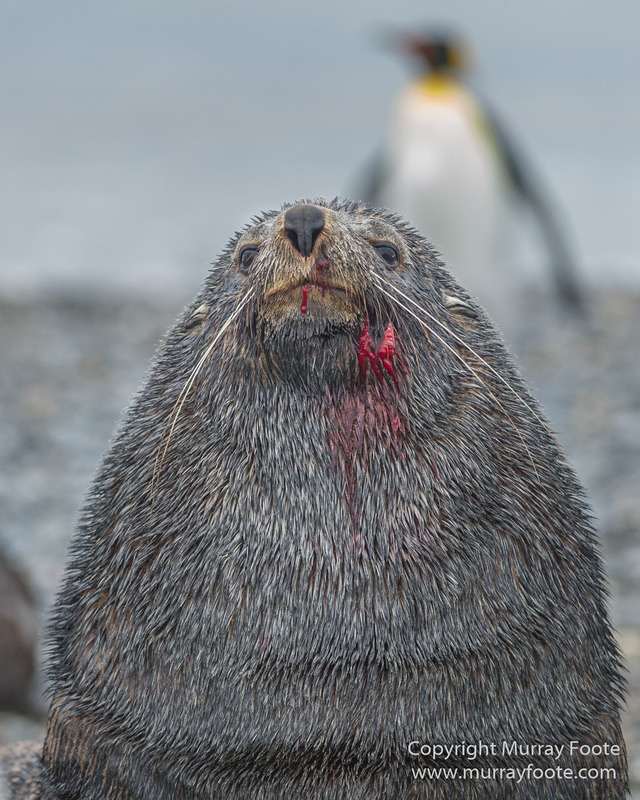 This is almost certainly after a territorial conflict with another male fur seal (this one appears to have won). 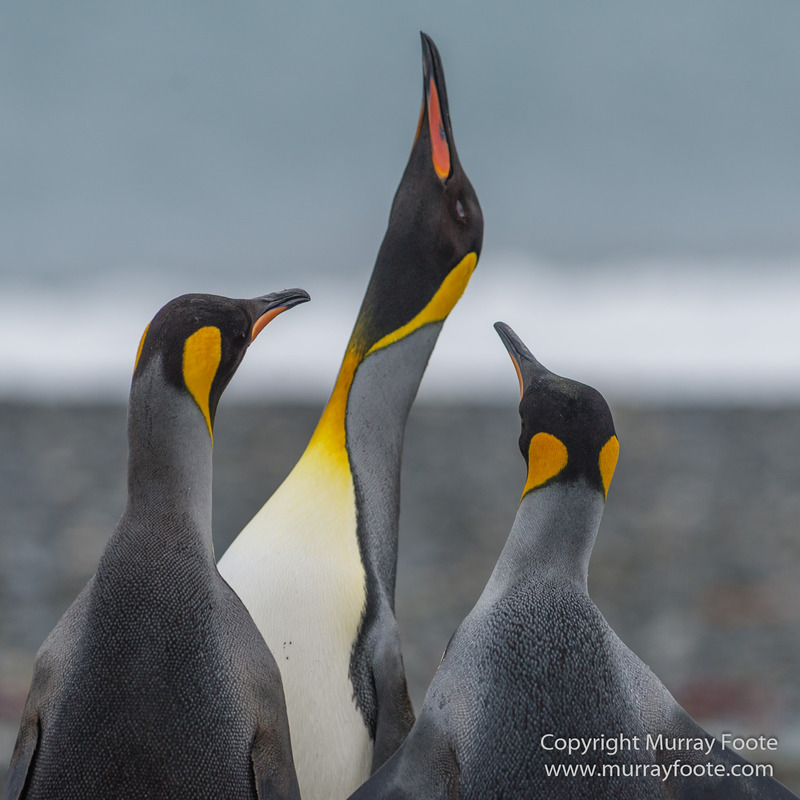 And finally, a trio to bid us farewell for the day. After an hour or so, we were reminded where we were. 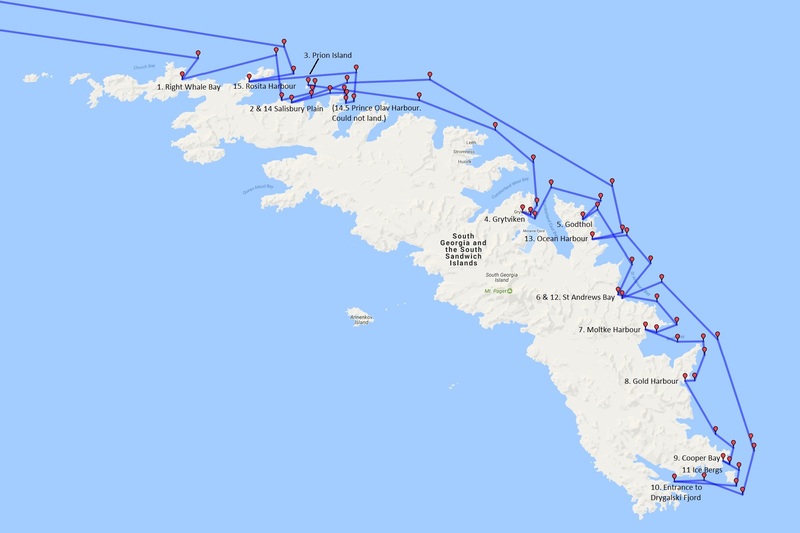 Katabatic winds sprung up and reached 60 knots off shore. The zodiacs had taken several groups back but were unable to return for those still on shore. I had omitted to bring an extra layer of clothing with me and was feeling a touch cold so I lay down in the partial shelter of a ridge of stones created by the tide along an edge of the beach. 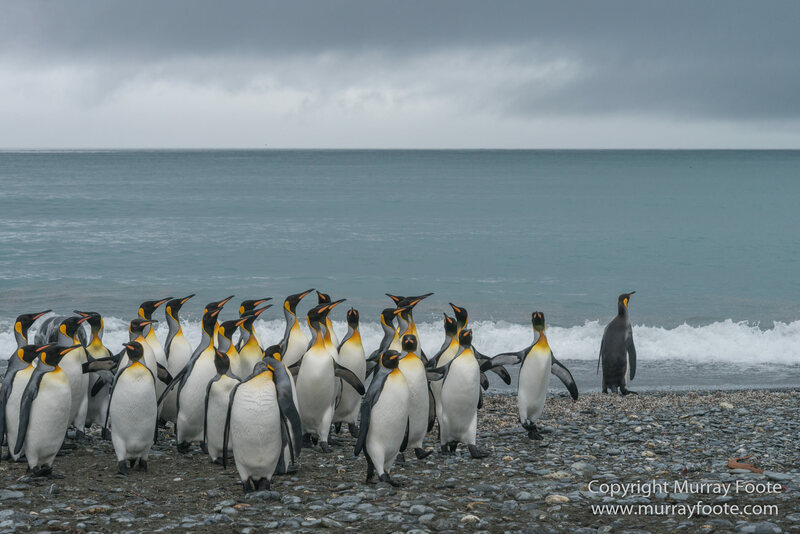 Ole Jørgen Liodden was revelling in the deteriorating conditions and photographing returning penguins while in the water himself. As well as lacking a layer of clothing, I did not have his waders. 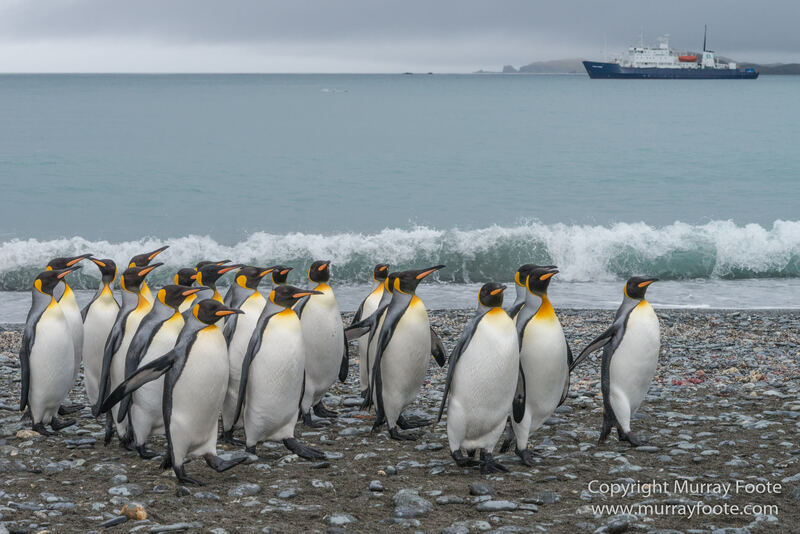 Fortunately, after about half an hour, a zodiac was able to head off from the ship in a tangential direction and work its way around the shore to us. We reconnoitred for a landing at Prince Olav Harbour in the afternoon but weather conditions prevented it. This was our second to last day on South Georgia. Wonderful post, spectacular location, beautifully captured! Thanks very much! Not many left to go now. 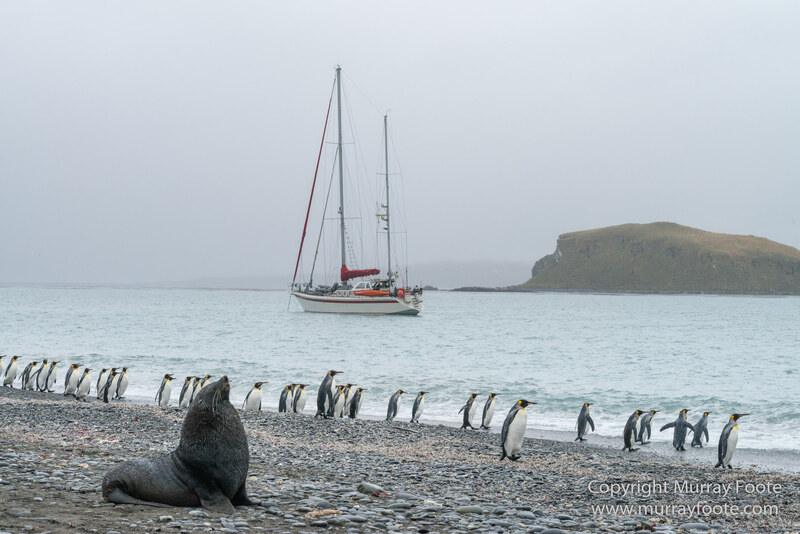 “Perhaps the penguins are from the yacht and have just landed.” – LOL. 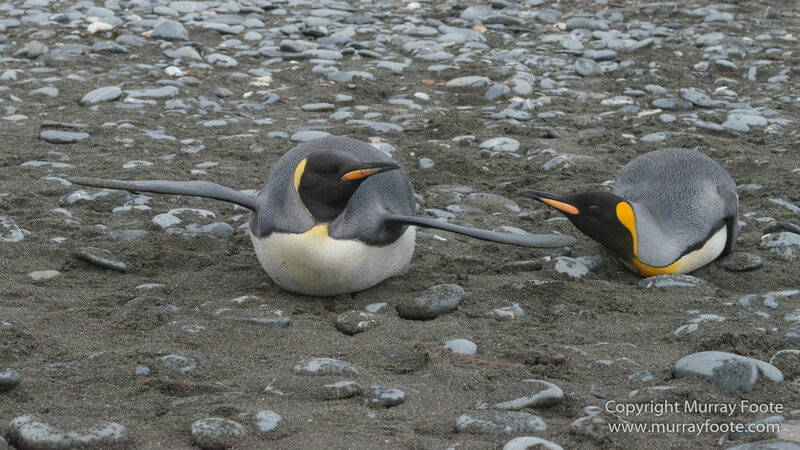 But from the first pic, maybe the penguins figure this day was the perfect weather. 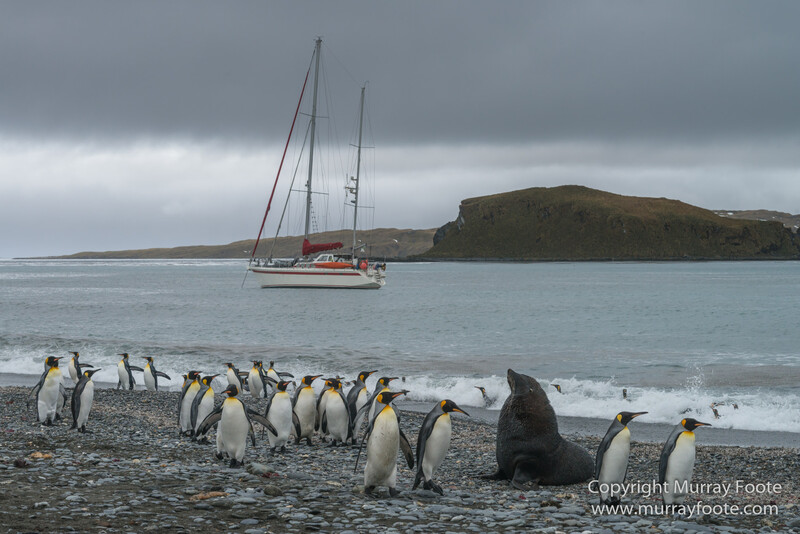 I must admit, as we were sailing past, we didn’t actually see any yachts crewed by penguins. A stray iceberg, maybe.